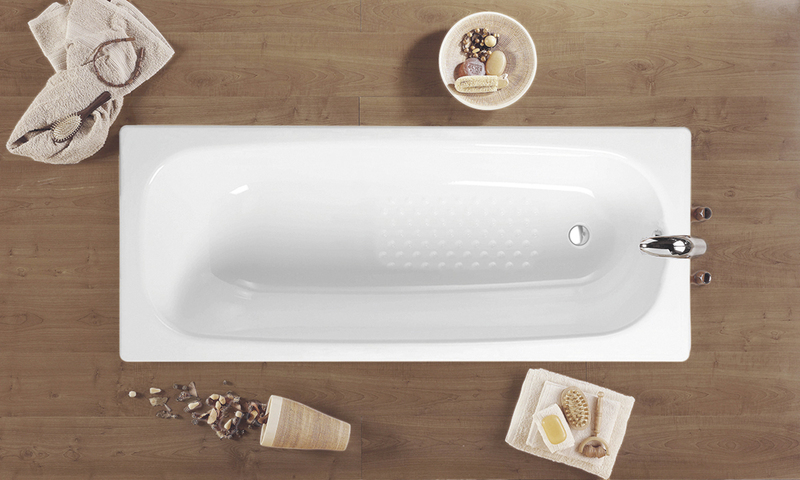 A new integrated bath concept that provides a unique bath experience. 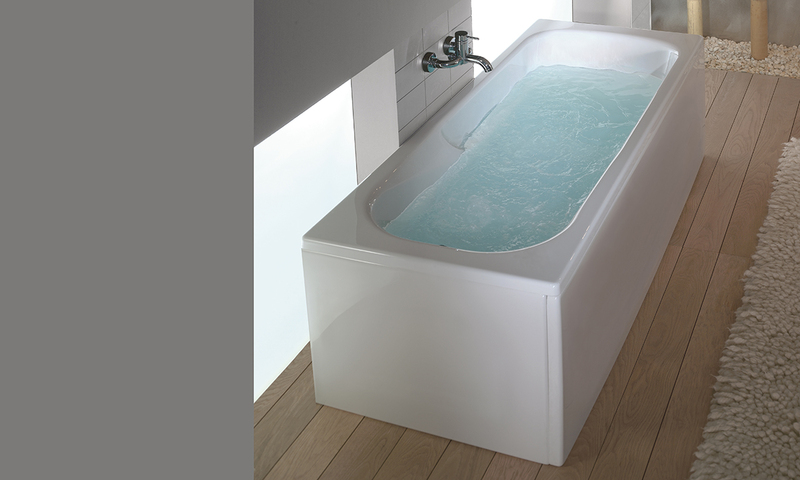 Thanks to its large dimensions, the Flex Center bath is ideal for two people to share the bath. Elegance and comfort together for the enjoyment of our senses. Balanced elegance for your experience in the bathroom. Following the essence of the Mid collection, the Mid bath offers an elegant interplay of straight and curved lines to maximize the functionalities of the bath with a trendy and sophisticated design. Straight lines with rounded radii and an inclined plane where the overflow is located make Emma the star of the bathroom. 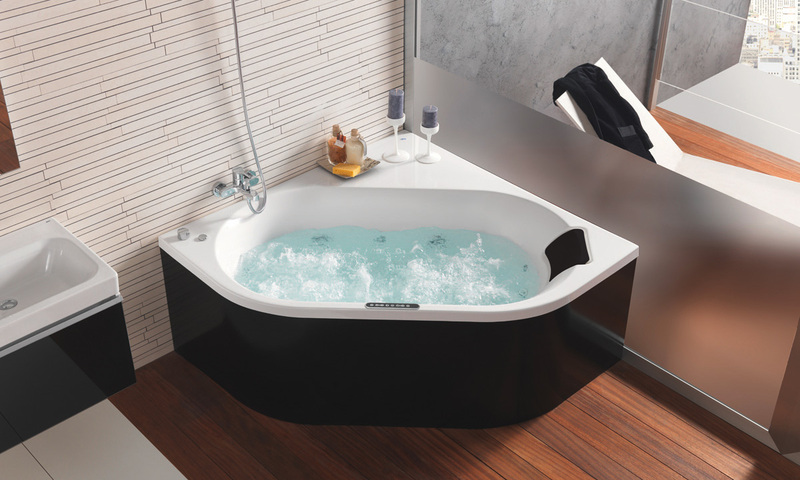 This version has a centered waste, providing two comfortable reclining areas to enjoy a bath in company. 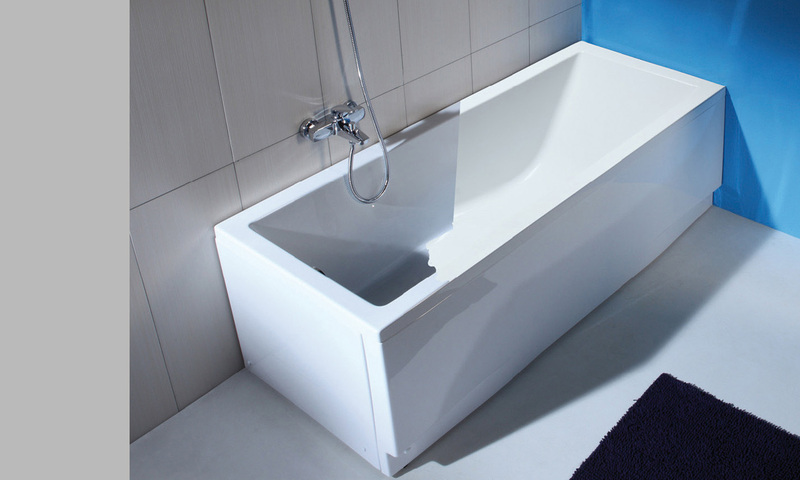 Its skirting panel integrates its side and front into one single "L" shaped piece, providing a sophisticated touch to the bath. Versatility in the shape of a bath. A cubist design that provides the necessary ergonomics and comfort for your daily use. 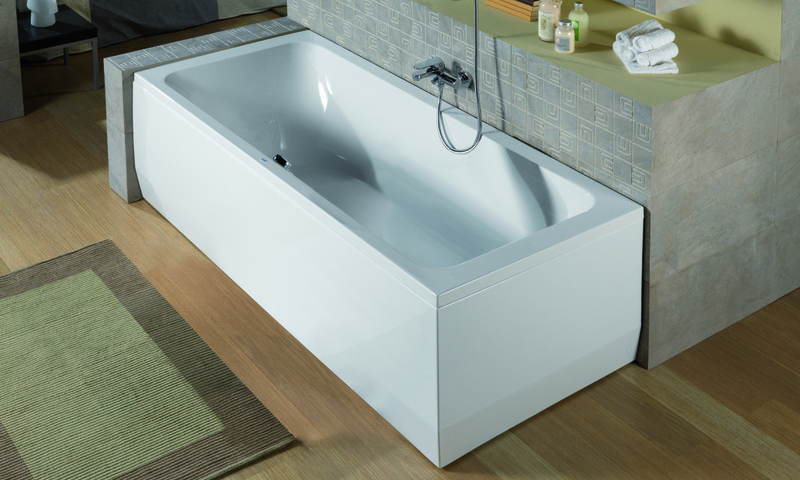 Its straight and pure lines, together with the wide range of sizes the bath is manufactured in, allows the perfect integration of MITTA in all bathroom spaces. Simplicity and practicality that make the most of the space thanks to its simple lines. Adaptability to different interior design styles. The material retains heat well so that you can enjoy a pleasant bath for longer. The OMEGA circular bath has been conceived and designed for comfort. Its large dimensions and soft lines are an invitation to rest and to enjoy the senses. The bath OMEGA is ideal for two people that share a bathroom comfortably. Refinement, personality and elegance mingled together in a steel bath with great thickness. The freestanding Ópera bath, with white and black finishes, is designed to be the centerpiece of the bathroom, with all other elements revolving around it. This model is also available without skirting panel, so that it may be fitted in, in accordance with the interior design. 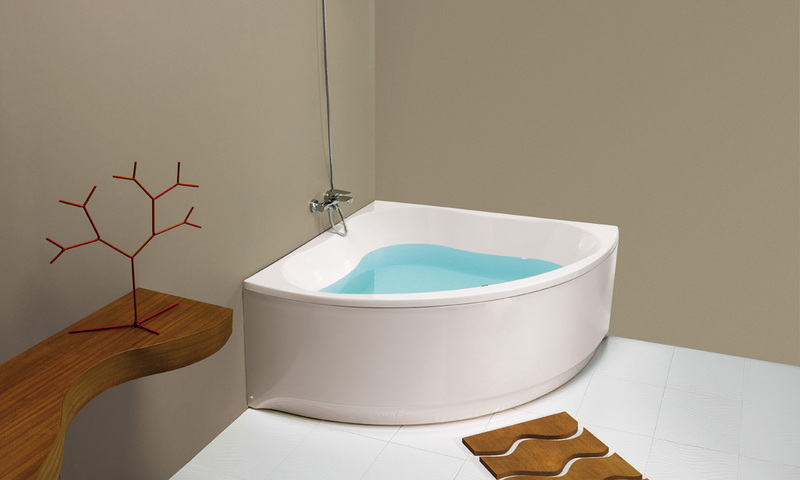 Its fluid shapes, pure and round lines adapt the VANESA bath to any space, providing an attractive and elegant design. 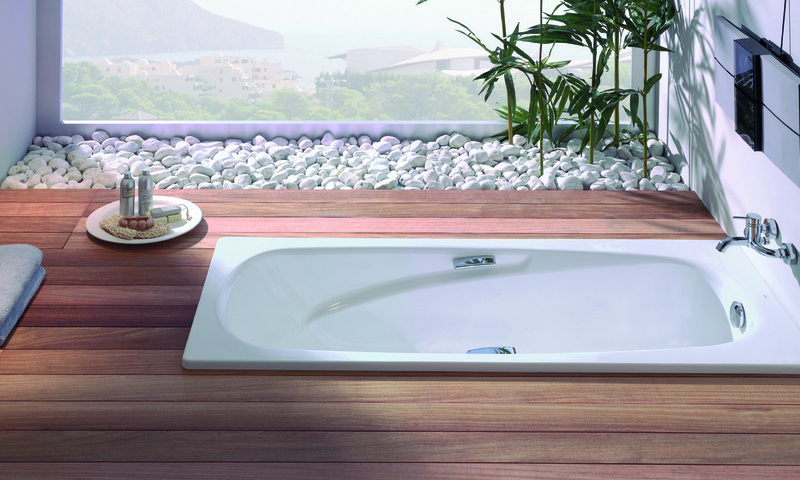 Thanks to its integrated armrest and its chromed handles, VANESA is a very comfortable bath. An elegant and timeless design with soft and round lines, that generate the perfect balance between functionality and elegance. 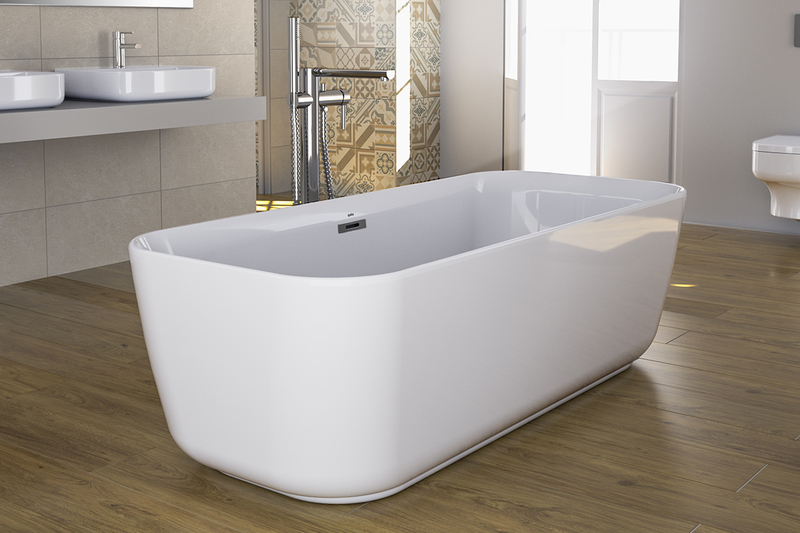 Great endurance and durability in a bath with soft shapes, curved edges that lighten the visual sensation and allow an easy adaptability to spaces.